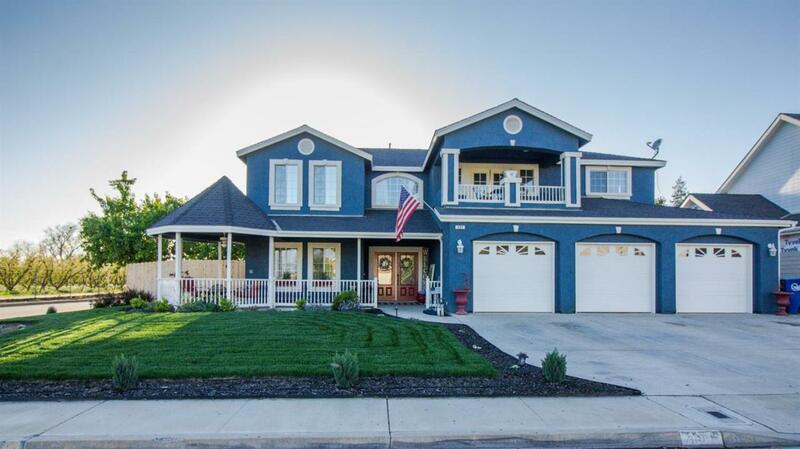 If your looking for the perfect home in reedley look not further, this 4 bedroom 3.5 bathroom custom built home has it all. From the beautiful covered porch to the 2 balconies you feel like your at your own retreat. You walk in to a gorgeous staircase and formal dining room, you also have a large kitchen with granite counter tops, a breakfast nook, living room, guest bedroom and 1.5 bathrooms downstairs. Upstairs you have a master bedroom you will never want to leave, there is a double sided fireplace and a large dressing room with access to a private balcony. There are 2 additional bedrooms with a jack and Jill bathroom upstairs and a bonus room that can be used as a media room, office or playroom, it also has a balcony. In addition to all of this there is a newer fence and new sod in both the front and back yards. This home is a true show stopper!